New processor generation from Intel powers versatile, efficient datacenters. 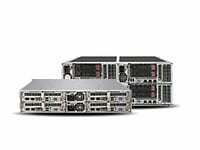 iXsystems is pleased to announce the availability of a new line of servers based on the Intel® Xeon® Processor E5 v3 Product Family, the latest processor line from Intel Corporation. 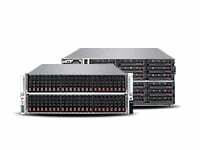 Whether addressing technical computing challenges, enabling cloud deployments, delivering intelligent storage, or powering design automation and data analytics, iXsystems servers take full advantage of the performance, built-in capabilities, and cost-effectiveness of the Intel® Xeon® Processor E5 v3 Product Family. 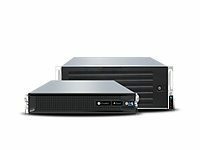 iXsystems has updated its entire server line to use the Intel® Xeon® Processor E5 v3 Product Family. 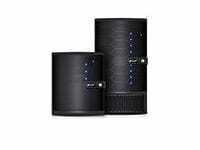 The updated products include the Mercury 1204H, Gemini4 22X412H, and Gemini8 42X8H, which are more power-efficient and higher performing than their previous-generation counterparts and support increased system resources in the same footprint. 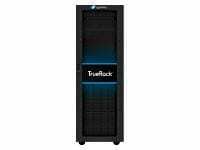 Improvements in processor efficiency and chipset capabilities allow servers based on the Intel® Xeon® E5 v3 Processor Family to host heavier workloads, allowing enterprises to avoid expensive overprovisioning and conserve space and financial resources. The Mercury 1204H is a 1U system with up to 1TB of DDR4 RAM. 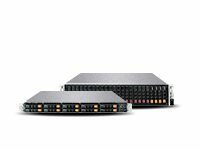 It can be equipped with dual Intel® Ten Gigabit Ethernet controllers, making it an excellent standalone high-throughput web or application server. Enterprises that need dedicated high-power systems with the power and efficiency of the Intel® Xeon® Processor E5 v3 Product Family will find the Mercury 1204H nearly unbeatable. 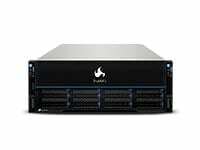 iXsystems also offers several lines of high-density multi-node servers. The Gemini4 22X412H is a 2U quad- node system in which each node is as powerful as a single Mercury 1204H. For enterprises needing to scale even faster than that, the Gemini8 42X8H builds eight of those same nodes into 4U, for an incredible 16 Intel® Ten Gigabit Ethernet controllers, up to 8TB of DDR4 RAM and 16 Intel® Xeon® E5 v3 Product Family Processors. For more information, visit iXsystems.com/e5. iXsystems is an industry leader in Open-Source-friendly enterprise servers and storage solutions. All of our products are assembled, tested, and shipped from company headquarters in Silicon Valley, and technical support is provided in-house by the same engineers that build the systems. Thousands of companies, universities, and U.S. Government departments have come to rely on iXsystems’ customer-first commitment to excellence. iXsystems champions the cause of Open Source technology by dedicating extensive resources to several FreeBSD community projects: FreeNAS®, PC-BSD®, FreeBSD®, TrueOS®, and OpenZFS.